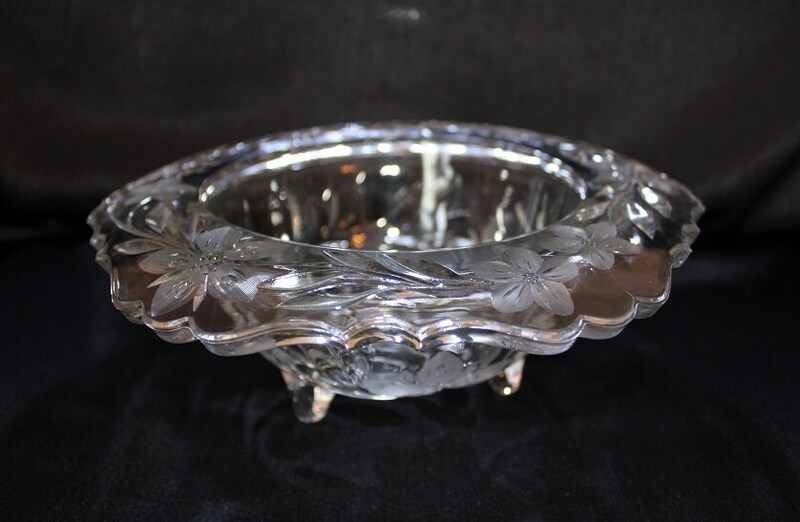 This antique EAPG bowl is circa 1900s. 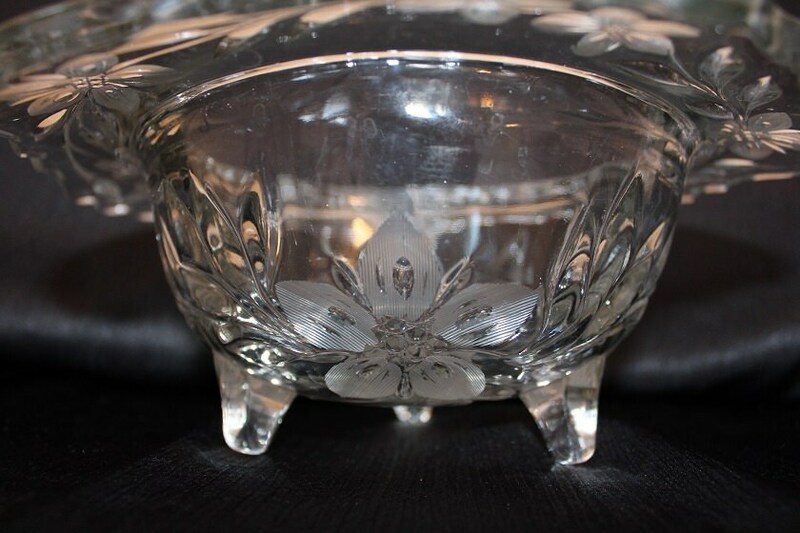 It is thick pressed glass piece with a single etched flower on the bottom of the bowl. 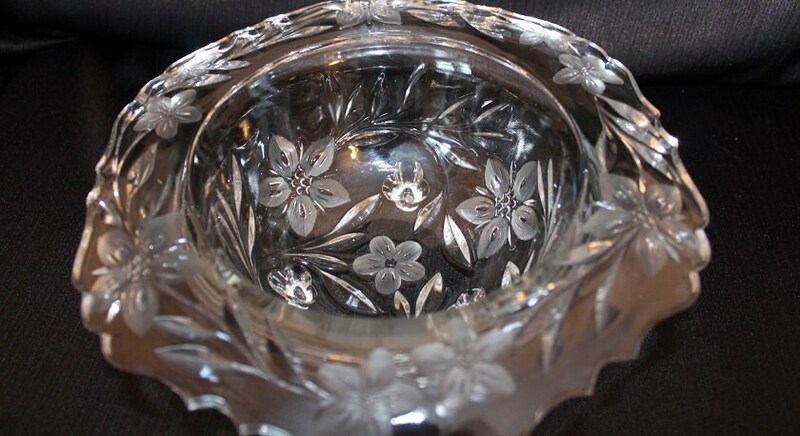 Circling this flower, along the sides of the bowl, are three larger etched flowers separated by a leaf pattern pressed on the underside of the bowl. 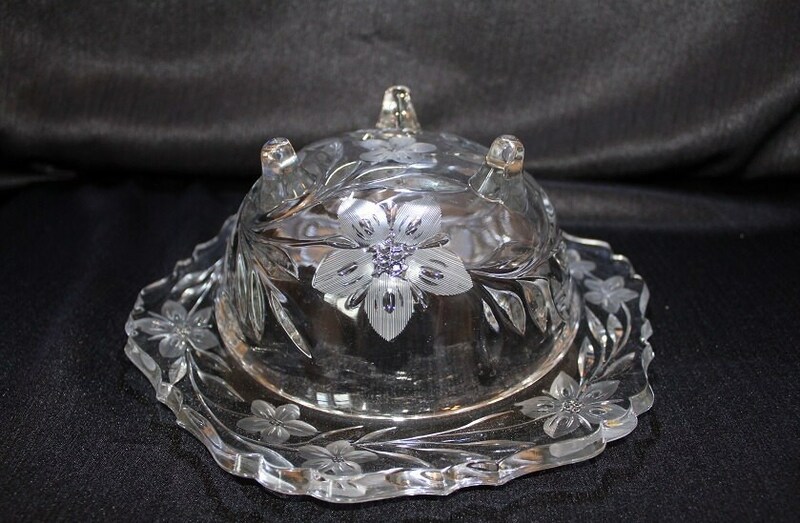 This pattern continues along the top of the bowl's rim, alternating between a single large flower and two smaller flowers which are press on the top of the rim. The edge of the rim has a swirl design. This piece sits on three round feet. This a is solid heavy bowl. 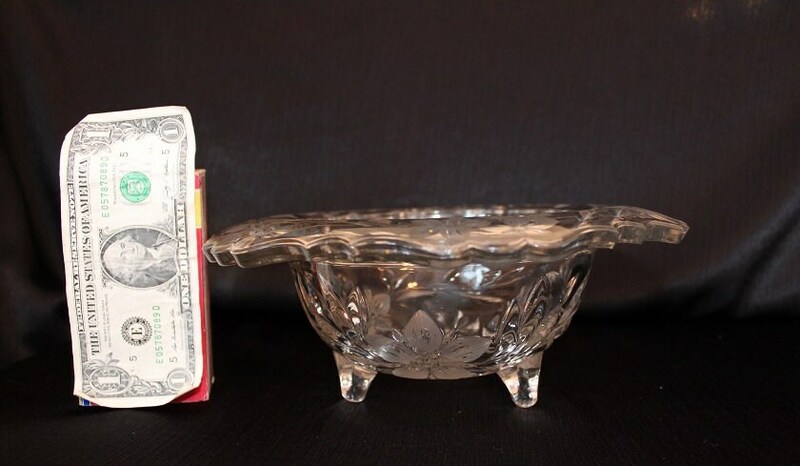 This bowl is in really nice condition with no chips or cracks; however, there are a couple of scratches from normal use.